MMO. The final frontier. These are the voyages of the game company Atari. Her mission: to explore strange new worlds. To seek out new developers and new intellectual properties. To boldly go where no.. alright enough of that. Makers of Champions Online (or as I like to call it City of Heroes Redux) and Star Trek Online, Cryptic Studios, has been gobbled up by videogame veteran Atari. Ok, technically thats a lie because Infogrames Entertainment, the parent company to Atari, purchased Cryptic Studios but thats getting too much into corporate mumbo jumbo. The acquisition will set back the classic gaming god 26.7 million in cool hard cash as well as 27.5 million in shares and future profits. With this acquisition Atari is making it very clear that they’re trying to position themselves as major players in the MMO space. Now with two significant MMOs to release in the next couple years (Champions Online and the Star Trek MMO) it becomes a very good possibility. With Cryptic’s success of City of Heroes under its belt, the purchase seems like a good move for Atari to garner some respect in a space dominated by players like Blizzard and NCSoft. The MMO market is a unforgiving mistress that will either worship you or destroy you. Play your cards right, and you beat the house. Count incorrectly and you’re suddenly out millions of dollars. Atari is stacking its deck with the Cryptic buyout, curbing what could have been a potentially rough journey into the MMO tundra. 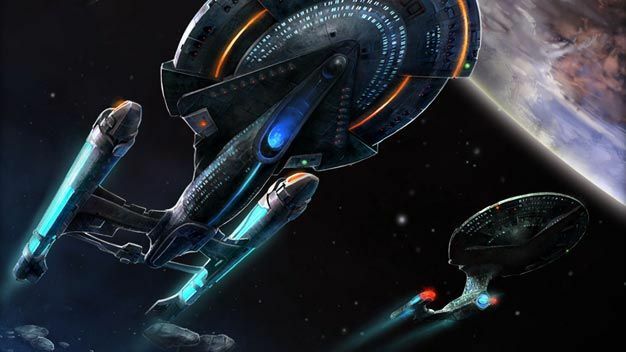 We’re hopeful that Atari will bring great benefits to Cryptic and its games and we look forward to what becomes of Star Trek Online as well as Champions Online.